The Mediterranean is surrounded by countries which almost completely enclose this massive volume of water. 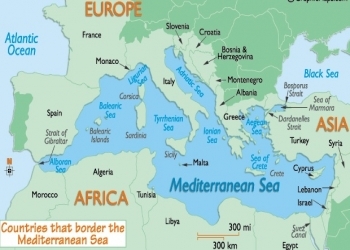 The Mediterranean Sea covers about 2.5 million square kilometres of water and is connected to the Atlantic Ocean by the Strait of Gibralta, which is only 14km wide. With the link through to the Atlantic Ocean this has been one of the oldest trading routes in ancient times and as such many people consider this the centre of world history. 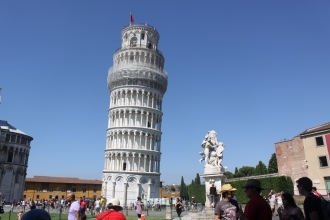 Cruising the Mediterranean gives you the opportunity to sample, many different cultures, see so many different countries and experience some of the world's most famous landmarks.....all within your cruise itinerary. 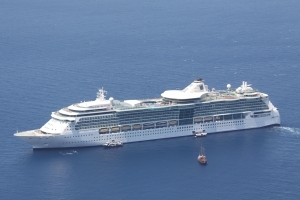 When deciding which cruise to select it is important to work out exactly which places you want to visit and when you are going to take your cruise. This will determine where you start looking. 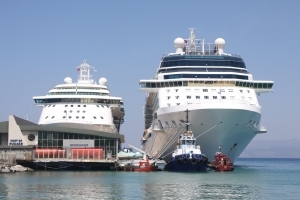 You may decide you want to cruise on a very large cruise ship or you may prefer a smaller ship with less people. A Mediterranean Cruise offers such a diverse historical beauty from the Turkish ruins of Ephesus to the unique beauty and lifestyle of the Greek Islands. 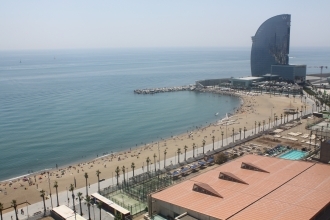 Cruises around the Mediterranean are usually available all year, however the most popular tend to be between April and October as this almost guarantees perfect weather. 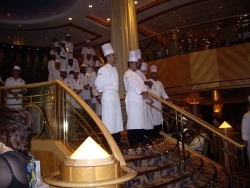 Most cruises range from 7 to 14 nights, although there are longer or shorter cruises available on the more boutique cruise liners. Ports of call may vary therefore you need to decide before you start looking where you would like to go. Some of the most picturesque countries such as Croatia,Turkey, Portugal, Spain, France, Italy and Greece are usually part of the preferred itinerary. Some of the most spectacular ports include Barcelona in Spain, Monte Carlo in France, Venice and Rome in Italy and Santorini in the Greek Islands. Of course every port offers a great experience and you will find that you usually have a whole day to experience it. My husband and I went on a Mediterranean Cruise for my 60th Birthday. It was really special because this is my most favorite place in the whole world. The Cruise was with Royal Caribbean and it was absolutely perfect. This was my 8th cruise and I would rank it as "the best" The Mediterranean is one of the most spectacular regions to visit with so much diversity and beauty it is captivating. 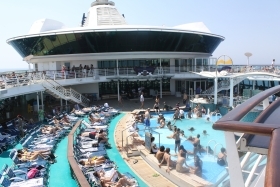 I would definitely reccomment a Mediterranean cruise to anyone, any age. Visit Other European Countries - France, England, Belgum, Czech Republic, Greece, Iceland, Italy, Spain, Switzerland, The Netherlands, Turkey, Norway, Germany. South East Asian Countries - Hong Kong, Malaysia, The Philippines, Maldives, Singapore, India, Macau. In Africa you should visit Egypt, South Africa & Morocco, Mauritius.